Designed to easily and quickly bore deep, smooth holes in utility poles, railroad ties, pressure-treated lumber, wet or frozen wood and other demanding materials. PTFE coated with a specially deigned flute easily removes the stickiest chips from the deepest holes. Induction hardened high carbon steel, with a uniquely tapered shaft that widens near the shank, provides unmatched strength throughout the bit. 7/16" quick change hex shank. 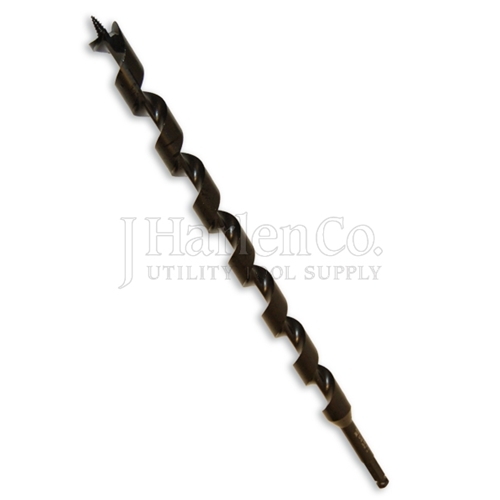 Wood Owl 11/16" x 18" Auger Bit has a rating of 5 stars based on 1 review.